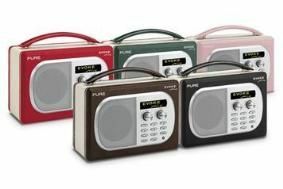 Government pushes for switchover to DAB radio in 2015 | What Hi-Fi? New legislation outlined in the Queen's Speech today is the Labour Government's last chance to implement the changes before a General Election next year. Plans for tackling illegal filesharing involve a two-stage process. Initially the Government will attempt to educate consumers, and those identified as downloading illegal content will be sent letters asking them to stop. If that fails, technical measures including powers to disconnect persistent pirates will be introduced in the spring of 2011. The Digital Economy Bill will also include a simplification of the UK's complex copyright laws, making it easier for people to use images on the internet without having to get permission, and tougher laws to stop children getting hold of violent video games. "My Government will introduce a bill to ensure communications infrastructure that is fit for the digital age, supports future economic growth, delivers competitive communications and enhances public service broadcasting," the Queen said in her speech. The Digital Economy Bill is due to be announced in Parliament tomorrow, with full details published on Friday. Some of the flagship initiatives in Lord Carter's Digital Britain report are not in the bill because they require new tax measures to be introduced. So the much talked about broadband tax is not included and will be launched as part of the Finance Bill next year. Nor is there any mention of the plan to introduce a minimum 2 megabits per second broadband across the UK by 2012.